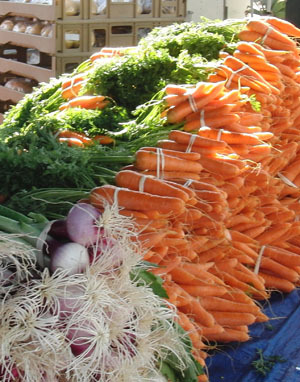 Although there are at least five farmer�s markets to choose from weekly in the Santa Barbara community the Saturday morning market on Garden and Cota Streets seems to draw the largest crowds. 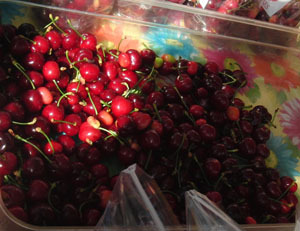 Locals and tourists arrive at 8:00 am to peruse the vendor�s tables, making mental notes of things they want or often bagging produce in advance of the 8:30 am bell that officially opens the market sales. 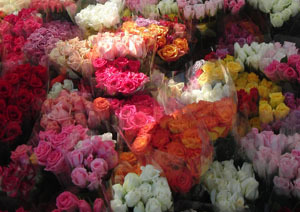 From fresh flowers to seafood and nuts, as well as every variety of seasonal fruits and vegetables it is all there for you as far as the eye can see. The live entertainment of local musicians and performers adds to the colorful experience of musical entertainment and tasting samples. Market managers sell visitors who need cash chips in $1, $5 or $10 denominations to use for their preferred purchases, and their booth is always filled with interesting publications on local food purveyors, restaurants, products and local destinations. The market is a special meeting place for locals to congregate and discuss �what�s happening� in their city. Political campaigns have often been launched here, but mostly the market is just a pleasant place to enjoy conversation with old and new friends while buying favorite fresh foods for the week. This European born shopping trend has become a lifestyle habit in most US communities during the past century, and people clearly anticipate beginning their weekend with a visit to the market. 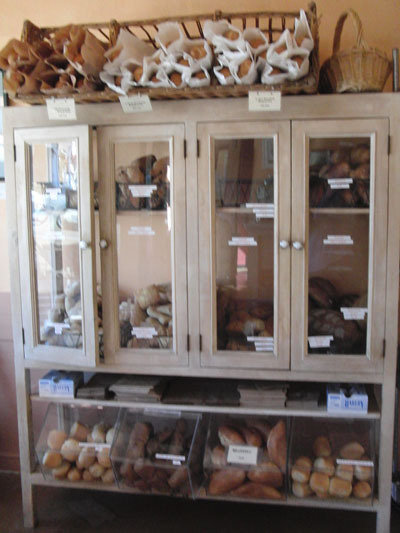 Although our market sells bread I prefer to travel down Garden Street to the Daily Bread Bakery, where the aroma of fresh baked bread greets me at the door. I can buy my bread for the week, and grab a quick cup of coffee to enjoy with a muffin over the Independent, Casa, Montecito Journal, or the Daily Sound to get all my local news. 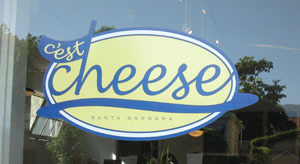 Two doors away is Cest Cheese, where you will find fabulous cheese, wine and unique imported gourmet products. This is a sensational shop that smells of imported and local cheeses, and offers fresh cold cuts that are ideal for appetizers with a bottle of fine wine or to include in your favorite gourmet recipes. 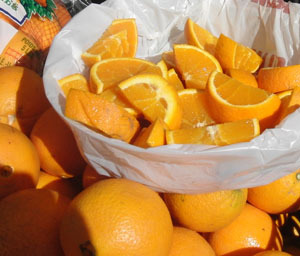 Rain or shine we all show up to experience the fruit of our California farmer�s labor, to smile and chat with friends and to enjoy the experience of the good life in Santa Barbara, while also completing our weekly shopping rituals. 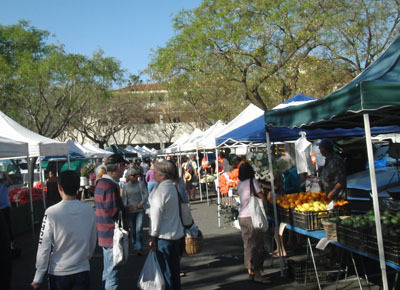 In the words of our late and great Santa Barbara resident Julia Child, who loved our Farmer's Market 'bon appetit'! 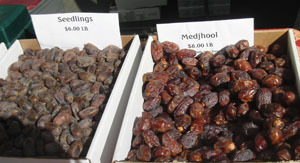 For weekly locations visit: www.sbfarmersmarket.org. derma e� Introduces NEW Award Winning Foot Cr�me! derma e� Natural Bodycare, a pioneer in formulating cutting-edge effective natural skincare products, is excited to announce the addition of their NEW Intensive Therapy Foot Cr�me to the company�s 18-product Treatment line that helps a variety of skin problems. While this product was just launched, derma e� has received tremendous positive feedback from customers and the media including a 2011 Earth Day Beauty Award from Healing Lifestyles & Spas for Best Foot Lotion. Aid in relaxing tight muscles. Relieve tired, achy, even painful feet. Moisturize and alleviate dry, cracked, itchy feet. USBedBugs.com offers 5 inexpensive tools to help keep bed bugs away. Bed bugs are back and are becoming a global pandemic. These tiny pests have not been a problem for the past 50 years � until now. Most experts say that the ban of DDT and frequent international travel are to blame. However, some experts think there is more to it than that. Before the 1950�s most people had an awareness of bed bugs and took precautionary measures when traveling to destinations where they thought they might encounter bed bugs. They were vigilant about checking their hotel rooms and where they placed their personal belongings, making every attempt not to bring the blood sucking pests home. Today, most people have lost their bed bug consciousness. People now need to develop a new state of bed bug awareness so that we change our behavior and avoid transporting bed bugs from place to place. 1.Bed Bug Beware guide by David Cain ($19.99): First, do some research. Loaded with color photos, expert tips, and costly mistakes to avoid, this book is critical to understanding our new bedroom enemy. Don�t just read it and file it away, rather, share it with all your friends, neighbors and even your children. Kids are especially good at identifying insects. 2.TEKZ 9-LED Compact Flashlight ($6.99): A bright, LED flashlight is an essential tool for anyone to detect bedbugs at home or while traveling. Use this flashlight to inspect for bed bugs, or their tell-tale signs (black spots and cast skins) around bedding, behind headboards, under nightstands or with any bed bug monitor. Be sure to shine light in any crack or crevice, including screw holes, where bed bugs are commonly located. 3.BugZip� Luggage & Clothing Encasements (Starts at $9.99): Zip up your bags and belongings whenever you stay outside your home, preferably with bags like BugZip� that are specially designed to keep bed bugs out. Don�t leave shoes, computers or souvenirs out in the open as bed bugs love to crawl into tiny cracks and crevices in these items. Make sure everything is zipped up when not in use. Protect your belongings while staying at hotels, or even a friend�s or relative�s home, and you will have gone a long way to keeping bed bugs from coming home with you. 4.Box Spring Encasements (Starts at $35): If bed bugs ever get into your home they will want to harbor and lay eggs underneath and inside the box spring. This clever hiding place is why it takes many people months to realize that bed bugs are living in their beds. Zipping up your box spring will force them into other areas where you will spot them much easier. 5.BB Alert Passive Monitor ($19.95): A little bed bug hotel that can detect them in only a few days instead of a few months. Just check the monitor�s white background for little black spots about once a week using the LED flashlight and you will catch bedbugs before they have a chance to multiply. With other traps you will catch many little bugs which may not be bed bugs. The BB Alert Passive Monitor will only show black spots if bed bugs are residing inside. Many people do not react to bed bug bites so these monitors may be the only way to know you are being bitten nightly. People shouldn�t be paranoid about getting bedbugs. But they need to be aware that there are many places bed bugs may be encountered throughout the day. Being conscious of your surroundings and checking clothing, bedding and furniture will go a long way to protect yourself from falling prey to these bloodsuckers. At USBedBugs.com, our mission is to improve the quality of life for those dealing with bed bugs and to prevent further spread of bed bugs throughout the United States while minimizing use of harmful pesticides. Founded in 2006, USBedBugs.com is a division of NorthShore Care Supply, an online medical supply retailer. Beginning with selling mattress encasements, the company received numerous inquiries from people desperately looking for other products to detect and prevent bed bugs. As the bed bug infestation in the U.S. has grown rapidly, the company has become the leader in products for dealing with bed bugs in homes, hotels, apartment buildings, colleges and any facility where people sleep. The USBedBugs.com website is now a fast growing marketplace featuring a wide selection of pesticide-free bed bug prevention and protection products. For more information, visit http://www.usbedbugs.com. Food products made with soy have enjoyed great popularity in the U.S. and elsewhere in recent years. Two decades ago, Americans spent $300 million a year on soy food products; today we spend over $4 billion. More and more adults are substituting soy�a great source of protein�for meat, while a quarter of all baby formula contains soy instead of milk. Many school lunch programs nationwide have added soy-based veggie burgers to their menus, as have countless restaurants, including diners and fast food chains. And there are hundreds of other edible uses of the legume, which now vies with corn for the title of America's most popular agricultural crop. The U.S. Food and Drug Administration promotes the inclusion of soy into other foods to cut down on heart attack risk. Clinical studies have shown that soy can also lower the risk for certain types of breast and prostate cancer. 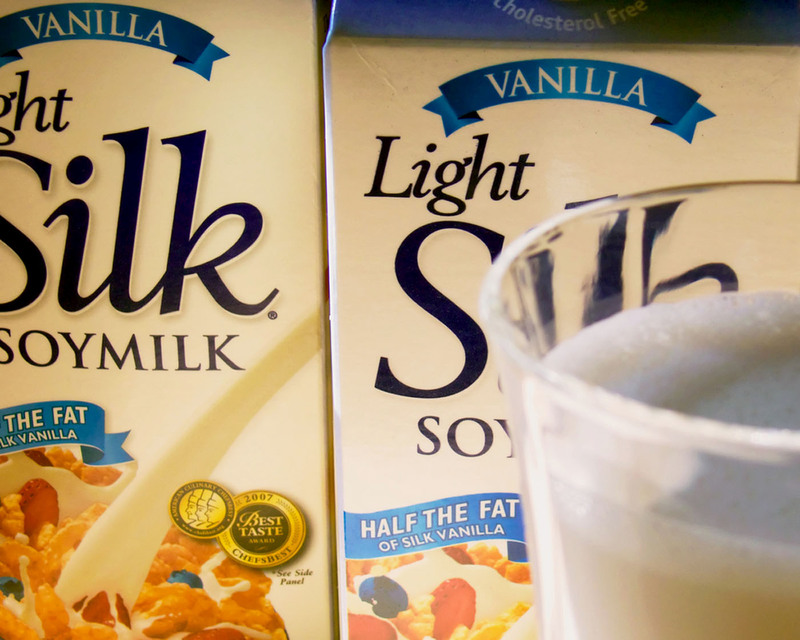 But there may be a dark side to soy�s popularity and abundance. �Many of soy�s health benefits have been linked to isoflavones�plant compounds that mimic estrogen,� reports Lindsey Konkel in Environmental Health News. �But animal studies suggest that eating large amounts of those estrogenic compounds might reduce fertility in women, trigger premature puberty and disrupt development of fetuses and children.� But before you dump out all your soy foods, note that the operative phrase here is �large amounts� which, in laboratory science, can mean amounts substantially above what one would consume in real life. The U.S. government permits the sale and consumption of GM foods, but many consumers aren�t so sure it�s OK to eat them�given not only the genetic tinkering but also the exposure to so much glyphosate. Due to these concerns, the European Union has had a moratorium on GM crops of all kinds since 1998. Since GM soy has only been around and abundant for less than a decade, no one yet knows for sure what the long term health effects, if any, will be on the populations of countries such as the U.S. that swear by it. 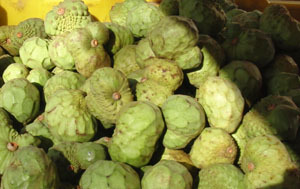 Natural foods stores like WholeFoods are your best bet for finding non-GM foods of all sorts. CONTACTS: Environmental Health News, www.environmentalhealthnews.org; Non GMO Project, www.nongmoproject.org.